I believe every one of us has a desire to accomplish great things, to do something meaningful, to have an impact. Yet, so many of us don't take the actions necessary to create the success we desire. Then there are others who are very busy taking actions but the actions have nothing to do with their vision and goals. They've become lost in the busyness of life. Create your Big Picture Vision - This might be a goal or a dream. It might be a project that needs to be completed or a sale you are trying to close. It might be a company objective or a team mission. It might be a book you want to write, an initiative to improve your community, or a championship you want to win. Identify your vision and then you’ll be ready to Zoom Focus and take the necessary actions to get you there. Ask One Question - Each day when you wake up in the morning ask the question, "What are the three most important things I need to do today that will help me create the success I desire?" Then each day take action on those three things. Tune out the Distractions - Turn off the television. Stop answering the phone. Don't answer email right now. Talk to your friend later. First, get things done. Execute, accomplish and then feel free to embrace the distractions. Say No and Yes - My friend once told me, "If the devil can't make you bad, he'll make you busy." He reminded me that we need to stop scattering our energy and wasting our time on trivial things that have nothing to do with our vision and goals and start saying yes to our priorities and to what truly matters. Each day we must make choices and those choices including saying "no" to people and opportunities so we can say "yes" to the work we are meant to do and the success we are meant to create. Focus on Daily Improvement - I see it in sports all the time. Teams focus too much on winning the championship and forget to Zoom Focus each day in practice. They are outcome focused not process focused. The key is to focus on improving each day and take the necessary action steps. If you incrementally improve each day, each week, each month, each quarter, by the end of the year you'll see remarkable results and growth. When you Zoom Focus on the process the outcome takes care of itself. 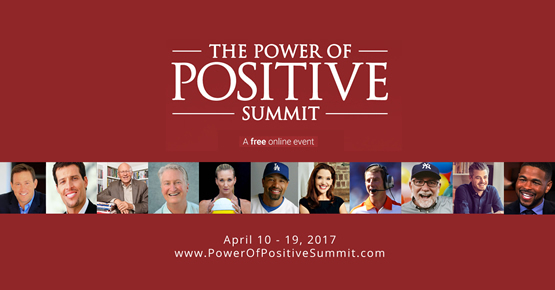 Some of this years speakers include: Tony Robbins, Ken Blanchard, Coach Dabo Swinney, Andy Andrews, Kerri Walsh Jennings, Craig Groeschel, Dave Roberts, Sally Hogshead, Inky Johnson, Molly Fletcher, Ryan Holiday, Super Bowl champion Chris Hogan, All Pro running back Justin Forsett and many more!